In western culture, rock art has traditionally been viewed as “primitive” and properly belonging in the purview of anthropologists rather than art scholars and critics. 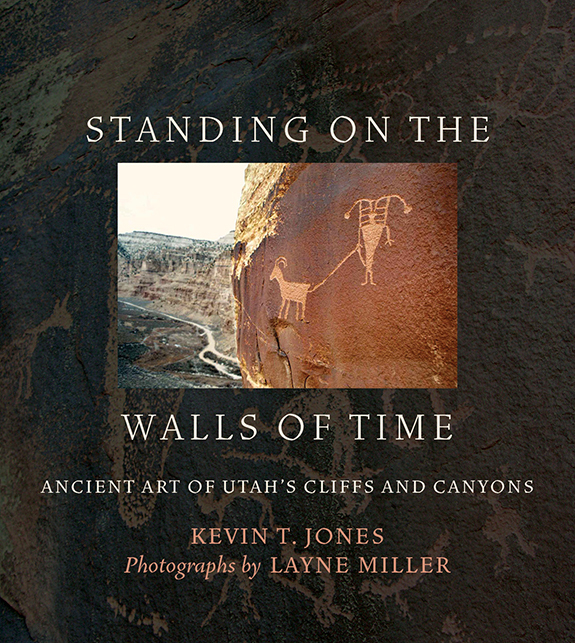 This volume, featuring previously unpublished photographs of Utah’s magnificent rock art by long-time rock art researcher Layne Miller and essays by former Utah state archaeologist Kevin Jones, views rock art through a different lens. Miller’s photographs include many rare and relatively unknown panels and represent a lifetime of work by someone intimately familiar with the Colorado Plateau. The photos highlight the astonishing variety of rock art as well as the variability within traditions and time periods. Jones’s essays furnish general information about previous Colorado Plateau cultures and shine a light on rock art as art. The book emphasizes the exqui­site artistry of these ancient works and their capacity to reach through the ages to envelop and inspire viewers. Kevin T. Jones is the former state archaeologist of Utah. He is the author of The Shrinking Jungle, an anthropological novel set among the Aché hunter-gatherers of Paraguay, among whom Jones lived and studied in the early 1980s. Layne Miller is a retired journalist, a lifelong resident of eastern Utah, and a long-time aficionado of the rock art of the region.